All EverGreen Escapes tours, river cruises, expedition cruises, and adventure trips. Find the best guided trips and expert planned vacation and holiday packages. 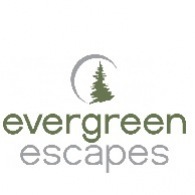 Average rating of 4.8 for all EverGreen Escapes trips. 6 to 10 miles per day backpacking on moderate terrain through the Quinault Drainage and the Dosewallips drainage.